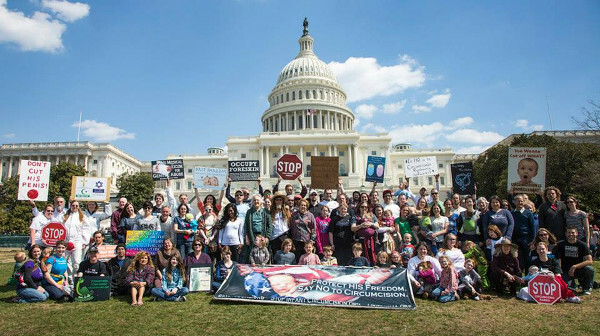 Intactivists from around the world will demonstrate and educate on the West Lawn of the US Capitol from March 24 until March 30 as part of the 21st Annual Genital Integrity Awareness Week. On Saturday, March 29, intactivists will march from the West Lawn of the US Capitol to the White House to raise awareness that over one million children are subjected to forced genital cutting each year in the United States. This annual event is held to commemorate the Federal female genital mutilation law that took effect March 30, 1997 and to call upon on legislators to extend equal protection to male and intersex minors.